François Lubiana (1940 – 2011), real name François Biro, was mostly known as the husband of French pop star Jaqueline Boyer. A singer and composer in his own right, Lubiana recorded quite a few EPs for Pathé and Barcley. In the only video I found of him performing live, he can be seen singing the beautiful Les cloches sonnaient in March 1966. He starts into the song, and for some reason not entirely happy with his performance, abruptly stops, excuses himself and then casually continues. Cool. Sadly later that same year he suffered a severe cerebral hemorrhage that ended his career abruptly. Two twist songs by Francois Lubiana strangely appeared on this Romanian EP. I don´t know if they were issued exclusively in Romania, but if they did, I wonder why? 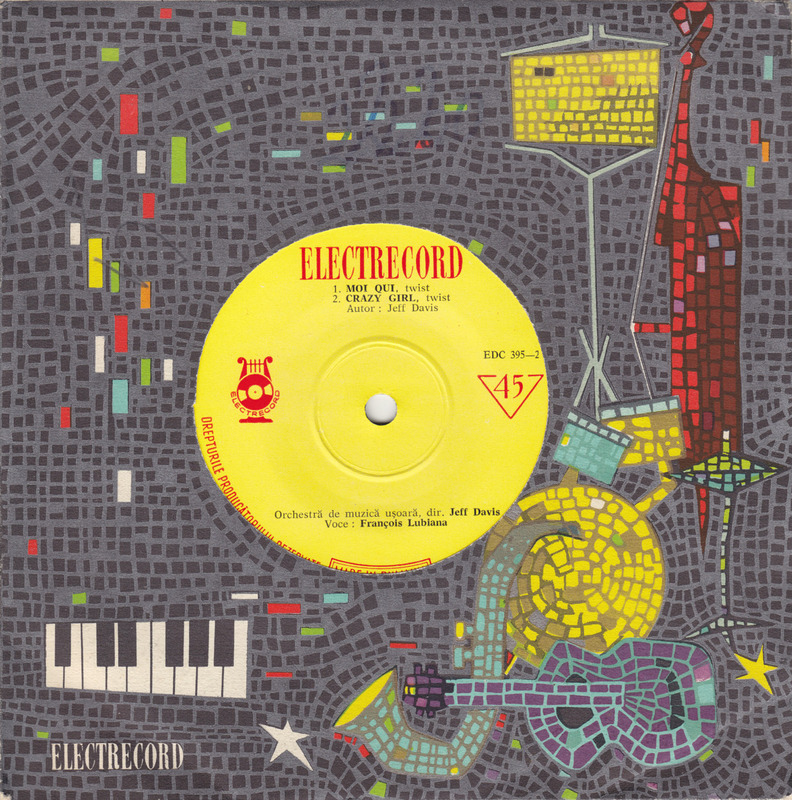 The nice mosaic-style sleeve illustration was done by Electrecord house-designer Jean Eugen. The two tracks, both written by Jeff Davis, have not been been reissued in 50 years. Great work. Can you upload for me the other 2 songs with Rosella Risi? Danke sehr. Rosella Risi/Fischoff is living in Austria and her family is still caring about her career very much. So, sorry, no, I can not upload. Very thanks. 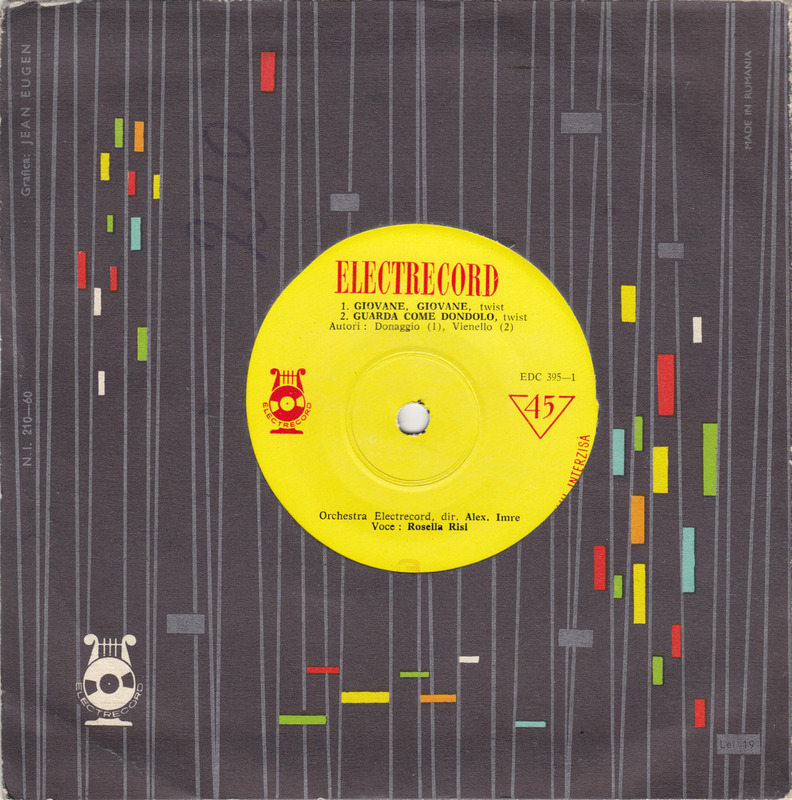 I’m from Romania – Electrecord is romanian label.